Bevinje is a tiny village on the foot hills of Chengala, 8 kms. from Kasaragod on the National Highway 17. To the North flows the majestic river Payaswini or Chandragiri. This river is considered as the traditional boundary between Tulu Nadu and Malayalam regions of Kerala state. 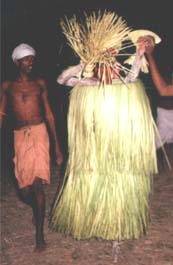 And thus Kakkilayas of Bevinje assume the role of the last outpost of Tulu Nadu. KAKKILAYAS, wherever or whatever they happen to be, are proud of their BEVINJE and are always waiting for an occasion to meet at their ancestral house. Bevinje House is accessible by road at about 2 kms from Chengala town, which is 8 kms from Kasaragod on National Highway 17. Down the highway, about half a km before the bridge across the river Payaswini, one can see the beautiful Bevinje Valley View. Further down, just at the entry into the bridge, is Thekkil, the bus stop for reaching Bevinje House. Their ancestral house at Bevinje, even after 150 years of construction, continues to be a centre of religions and social functions. This house is like a chatram providing food and shelter to the needy. Qotupura, Padipura, Pathayapura and Kulipura (which mean Cooking house, Front-house, Store-house and Bathing house respectively). It stands on an elevated ground at the foot of a hill which provides plentiful perennial water supply that flows down as a waterfall near the Kulipura. Right in front of the house on the eastern side, there is an old and huge amla tree, bearing fruits even now. On the southern side there is a centuries old mango tree and many huge jackfruit trees. For the present generation of Kakkilayas, these huge trees are symbols of a great heritage. 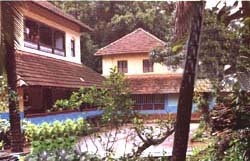 Bevinje had always provided shelter to the boys from villages of Kasaragod studying at the Govenment College, Kasaragod. 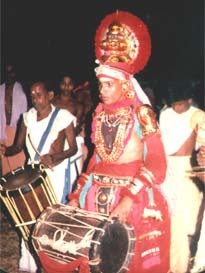 Sri G.V. Iyer, the well known film producer and director, chose this house and its courtyard to film Shankaracharya ‘s upanayanam in his famous film ‘Shankaracharya’. Every year on the 3rd of April, ‘Otthekola’ is held on the paddy field in front of the house. Seeing the Vishnumurthy Bhoota in all its grandeur is an unforgettable experience. It is a breathtaking experience to watch the Bhoota repeatedly jumping on to the red hot burning charcoal.